Explore and discover the amazing world of the animal kingdom. 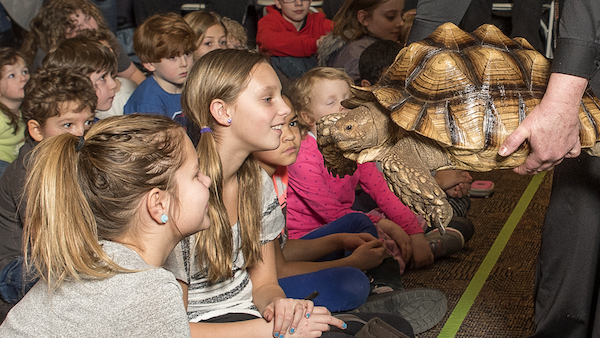 Get hands-on encounters while learning about amazing animals big and small. From insects to mammals and beyond, join us to learn about how creatures have many ways of surviving in different environments. 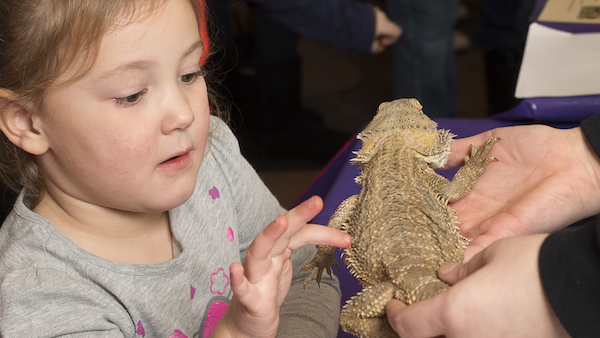 Get hands-on while learning about amazing animals big and small. 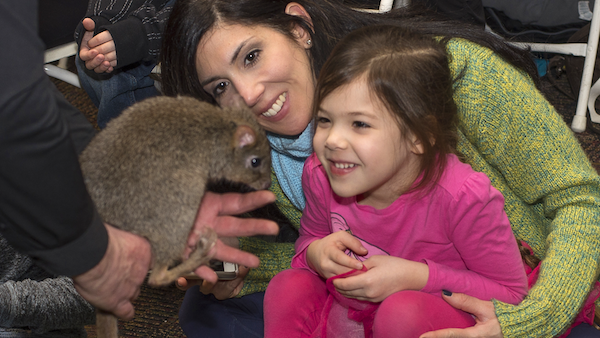 Come back each day to meet different live animals from the Wildlife Rockstars, World of Wildlife Educational Encounters (WOWEE) and more! Wildlife Rockstars animals of the day include owl, wallaby, opossum, tequ, and lemur! Wildlife Rockstars animals of the day include a mongoose, toad, alligator, owl, and wallaby! Wildlife Rockstars animals of the day include a silver fox, cyote, porcupine, vervet monkey, and geoffroy cat! Wildlife Rockstars animals of the day include a toad, tequ lizard, lemur, owl, and opossum! Discover the feathered friends of Braddock Bay Raptor Research. Learn more about animals with Animal Teachers and Anne Meade. Meet the pit bulls of Pitty Love Rescue. Wildlife Rockstars animals of the day include bettong, wallaby, opossum, and toad! Say hello to Dakota, the mascot of Roc Animal School! Come learn about the wild lives of the six fox species of North America and how they've adapted to their ecosystem. Wildlife Rockstars animals of the day include a mongoose, toad, alligator, owl, and lemur!